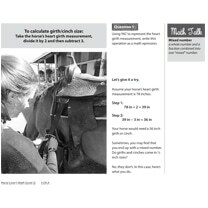 Section 2 of the Horse Lover’s Math Level 2 Workbook is here! Tack stores are great places for kids to experience the importance of measurement and understanding money. 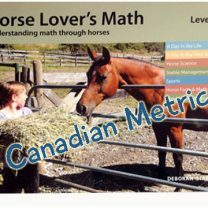 Kids learn the real world skill of how to properly measure a horse for a blanket, girth/cinch and stirrups. Images from a tack store show how much these items cost. 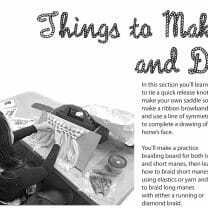 Kids are asked to make purchases testing their understanding of money and making change. 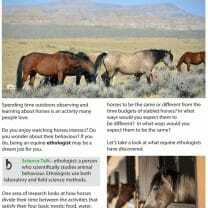 With Horse Lover’s Math, doing math results in greater knowledge of the real world of horses. Kids won’t ask why do I have to know this? They’ll want to know! A lot can be learned from A Trip to the Tack Store. 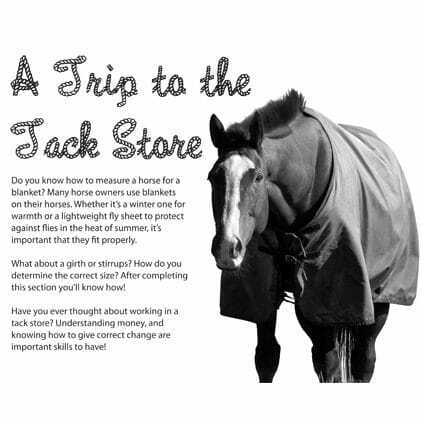 In this, the second section of the Level 2 workbook, kids learn that there are different types of horse blankets, each with a different purpose. 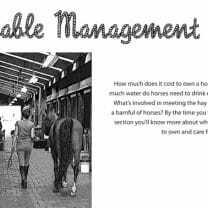 They’re shown how to measure a horse for a blanket, and how to choose the correct size—not as straight forward as it sounds as horse blankets only come in whole number sizes and in 3″ increments. 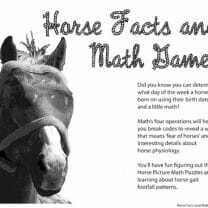 Math also comes into play when selecting girths and cinches. There’s even a math expression required to calculate the appropriate size. Correct stirrup size is also important. Too big and it may be hard to keep your feet in your stirrups while riding. Too small and your boot may become stuck in case of a fall. What’s the perfect size? 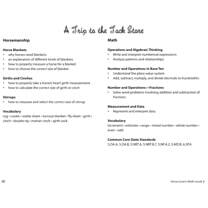 Your child will be able to answer that question once they’re finished this section of the Level 2 workbook! Of course, there’s money involved in a trip to the tack store. Is there a more perfect place for horse crazy kids to gain confidence around money than a tack store? 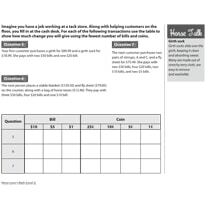 Calculating and estimating cost, recognizing correct change, kids are even put in the position of working at a tack store and making change for customers.